After long period leaks and peeks Samsung finally launches Galaxy Note 7 while this device has very interesting kind of stuff which include new feature and the new name. As from first sight device really take your breath away with curved edges screen, slim looks and Samsung design pattern. As there many things which make this Note 7 most interesting Note ever which use talk about in our session. So let’s further to do let have some What’s new in Note 7. Samsung finally reinvented the design pattern of Note lineup this model include the edge from sides as like Edge series of Samsung while this device doesn’t have edge model while the success of Galaxy Edge series Samsung put hard emphasis on edge series. Apart new design Note 7 also got the feature from earlier Note 5 as this version of Note 7 include waterproofing and dust proofing which is essential for many users. 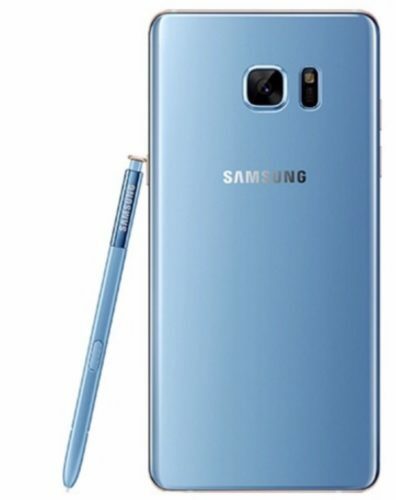 Apart from theses Note 7 also have new S pen with lots of new ability. From Inside Galaxy Note 7 has flagship class Qualcomm’s processor 820 while US user will have Samsung’s own Exynos processor. The memory of this device includes 4GB of RAM and comes with internal storage of 64GB with the expandable option. While we hover spec we found many similarity between Note 7 and Galaxy S7 from Processor, Wireless Charging, Dust proofing, Waterproofing, Fingerprint sensor to Camera as Note 7 also have same 12MP Camera with same sensor stuff which may depress many fans out there as there is not so much difference between Note 7 and S7 apart from internal memory as S7 have 32GB. Note 7 include 3500mAh of a battery which increased from 3000mAH in Note 5. The only difference is Note 7 has Iris scanner. Security is a major issue for all of us as Samsung has put another step to protect our content safer than ever as new Note 7 include new Iris Scanner which unlocks through authentication of Iris as it safer than your fingerprint sensor while device also has fingerprint sensor. Knox security also pulls its hands more tight as the device also get security lock for app files all around interface while a user can use with any of this system. Knox also more security to all over interface so that your content is always yours. Apart from Processor, RAM, Camera, IP68 Ratings, Fingerprint sensor. This device also has same display as Galaxy S7 with same AMOLED panel with 2560×1440 Q-HD resolution with the 5.7-inch display. As the display of Samsung devices are best with best in class color reproduction, nice color saturation, deeper black, nice sunlight readability and much more. Samsung uses the dual curved display in Note 7 as a device is narrower than 2.2mm from Note 5. With larger than S7 edge more symmetrical than the S7 Edge but still, flatter in looks make this device more comfortable to use. Note 7 has included new things like Iris Scanner, Flat Design, More Storage and Battery device also Much more new stuff like new Gorilla Glass 5 from both sides which make this device tougher and restive than earlier devices as Gorilla Glass 5 is new offering from Cornering which has really pretty stuff in it. Glass also adds lighter color feeling and brings out new texture out of it. Samsung finally takes big decision and removes micro-USB port as they now include Type-C which makes Note 7 first Type-C device from Samsung. No discussion complete without discussing S Pen of Note lineup which makes it as Note device. New S Pen has pretty advanced sensors which can recognize pressure up to 4,096 levels just twice of previous one. S Pen also includes new features like a magnifying loupe, quick text translation tools and new tool which makes GIFs from any video you want. Apart from S Pen Samsung also improves user experience to use Note more efficiently than ever as a device has Android 6.0 Marshmallow which is skinned with TouchWiz UI to make this device more interesting. New TouchWiz is become more light, having less bloatware and fluid to use. Shortcuts with S Pens really works nicely. Samsung also committed that Note 7 will surely upgrade with new Android Nougat but the time frame is not open yet. As from leaks Android Nougat may launch earlier this month. Note 7 have some very pretty feature which makes this device upgradable from earlier Note series while S7 user won’t recommended swapping their phones as you won’t feel any difference in these two which include the same processor, same ram, same camera, same interface, same edge feature and much more. Apart from these Note 7 has some compelling deals if we include new Iris scanner, S Pen, and Design overhaul. expansion of this device. As this device more expensive than S7 Edge as it cost about $800 and Edge is about $770. Unlocked version device will be available later date. For color option, this device comes with three colors including Black,Silver and new Blue Shades called as Blue Coral. 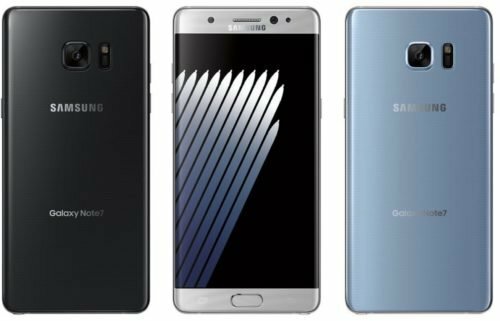 While Gold version of the smartphone will only be available in outside U.S. Samsung also new deals lure customers to have 256GB MicroSD card or Gear Fit 2 when they purchase Note 7. So this it for the device but we will do the review for this device a when they launch it so until then please grant me your leave and subscribes us down below. Next articleIs Galaxy Note 7 is the iPhone You Wanted?